I wrote the following as background for a workshop on “Archetypes in Depth” that I will be presenting at the Jung Society of Melbourne in June. It is long for a post but I hope you may find it rewarding if you follow it to the end. More to come. Archetypes are easier to recognise than define. We can all get the idea that a figure such as “mother” is a pattern which occurs across different species, peoples and cultures over time. But what do we mean when we call “mother” an archetype? The word archetype is from the Greek “arkhetupos” (ἀρχέτυπος) and was used to describe a “first mould” or model, in the sense of being the initial version of something later multiplied, such as a mould for a pot. The word had two parts, “arkhos” (ἀρχή) meaning first or chief and “tupos” (τύπος) meaning mould, pattern or type. The word then translates literally as first or primary pattern. This seems quite straight forward when applied to pottery, as it was originally by the ancient Greeks, but of course it didn’t stop there (it never does!) as the idea of archetype was later applied to the world of biological categories and ideas. It is when “archetype” is applied to the realm of biology or ideas that its original meaning as first mould becomes less applicable, for it does not make as much sense to talk about the first mould of mothers or of an archetype like the hero. What we might want then is a definition that encompasses the intention of its first Greek usage but allows us to understand how it is used in the modern sense. I have been studying archetypes for several decades and have read much on the topic and thought about it a great deal (“What, nothing better to do?” I hear you exclaim) and it is out of that endeavour that I would like to suggest a working definition: An archetype is an organising pattern. So applied to the original Greek idea of a pottery mould, we can see how the original acts like a pattern which organises the clay and replicates the original template. However the emphasis is not so much on the mould itself as an object but more on what the original mould actually does – it acts as an organising pattern for the clay from which the copies are made. Now when we turn to the later usages of the word “archetype” we may begin to see how this definition can be useful. The archetypes of mother and hero are organising patterns which bring forth the many examples of mothers and heroes we encounter in everyday life. Let’s go into this more deeply. The first thing you may wonder about is, if an archetype is an organising pattern, what these patterns might actually organise. So let’s take the example of mother, which is an archetype within biology, what does the archetype of mother actually organise? Well firstly we might notice that it organises behaviour. After all, being a mother is about giving birth and nurturing an offspring. It makes sense then that evolution would throw up this behavioural pattern of mothering for reproductive purposes, it’s a neat way of organizing biological reproduction. But something has to drive this pattern of behaviour so the second organising we might notice is instinct. Archetypes can form instincts – biological drives which cause female animals to mate in order become mothers and instincts which lead them to protect, feed and nurture their offspring. But there’s more! We can also notice that the archetype will also organise the physical bodies of mothers. And here nature is resplendent in its variety as well as commonalities with ovaries, eggs, wombs and breasts all becoming part of female biology somewhere along the path of evolution resulting in the biological forms associated with being a mother. Yet the organising of the archetype goes on. You could also paint a picture of what a human mother looks like and you would have an archetypal image (more on this later) or you could write a story about a mother’s fierce protection of her child and you could notice that the mother archetype will also organise art and literature. And people have worshiped the mother goddess, so it appears that the archetype has also organised spirituality. But what makes this all so interesting is that the archetype also organises the inner life of individuals. The mother archetype may activate in one person as sense of warmth and affection due to a positive experience with their mother, in another a slow smouldering anger. Later on in life, the mother archetype might produce a feeling of longing in a woman as she begins to imagine having her own child. Archetypes, so far as we can observe and experience them at all, manifest themselves only through their ability to organize images and ideas, and this is always an unconscious process which cannot be detected until afterwards. C.G. Jung Collected Works 8:440. According to our working definition, archetypes are organising patterns and it is therefore helpful to look at the characteristics of patterns to understand how archetypes function. Patterns can form in different media and therefore to some degree take on the characteristics of that media. I am a guitarist and am learning an arrangement of Dire Straits, Why Worry Now. This tune, this musical pattern, will sound slightly different depending on the particular guitar it is played on, depending on the tone of the wood and the shape of the guitar and the type of strings used. This is similar to how the archetype of the mother is expressed, it plays itself out in the lives of billions of mothers across different species and in the case of human mothers across different cultures and individuals. However in the midst of this variety we can usually tell the same tune is being played and our brains, evolved over millions of years for pattern recognition, can distinguish the same tune played on different instruments. Furthermore the arrangement of Why Worry Now I am learning has variation from the original – it plays with the standard tune which appeals to our love of variety. Patterns then contain variety and also have the capacity to cross mediums. This is very important to our understanding of archetypes which can also cross different media and contain a certain amount of variety. Returning to the archetype of the mother, we can notice both the commonalities and the differences of how it is expressed across species, in a mother cat and in human mothers. A mother cat like a human mother is fiercely protective of her young and expresses her nurture in feeding her offspring. Yet we can notice commonalities and differences in the expression of the mother archetype within our own species across different cultures and diverse times. We can view the commonalities of an archetype across individuals and communities as the core of the archetype which is formed by its function. We have already noticed that archetypes generally have a purpose. Here I am going to draw upon the recent field of philosophy of information. Archetypes are information “for something”, they are information for a purpose. In his book, Information: A Very Short Introduction, Luciano Floridi points out that DNA is also Information for something (chapter 6), it is instructional as it guides how the organism develops and functions. In the case of humans, it contains the instructions for forming ears and blood, brains and hair colour. Archetypes are likewise best described as “information for”. Let’s return to our early example of the Greek pot – the template is information for the shape of the replicas, the mother archetype is a template for female reproduction and the hunter archetype is the template for an organism’s carnivorous food gathering. Each of these archetypes is shaped by the purpose they fulfil for the organism. The function also gives archetypes their stability. The mother archetype remains as long as it fulfils its function; as long as it is integral to the process of biological reproduction. Evolution obviously throws up different variations of the mother archetype but these will only survive as long as they lead to successful reproduction, in other words, an archetype’s functionality prevents too much variation. Any variation which does not lead to successful mothering will not be passed on to the next generation. As well as stability, an archetype needs reproductability to endure. The mother archetype only endures if it can be passed on from one generation to the next. Obviously this is substantially through our DNA but it is also passed on in culture as the mother cat learns mothering from her own mother. Here we have to be careful to embrace the complexity of this transmission lest we get caught up in the old nature vs nurture debate – the answer seems to be that nature uses whatever is at its disposal to replicate vital patterns, including DNA and culture. We also need to distinguish the archetype from any particular expression of it. When we talk about the archetype we are talking about the organising pattern rather than any one particular instance or expression of that pattern. No one cat is the archetype of the cat. It is in the nature of the archetype as organising pattern to express itself in a variety of examples and therefore there must, by definition, be differences which can vary from cookie cutter similarity to a wide diversity. This wide diversity is particularly evident in the field of biology where evolution thrives on this combination of stability and mutation which optimises adaption to the environment. Archetypes can also have fuzzy edges, boundaries are not always clear cut, raising the question of when does one pattern morph into another? This is particularly the case in biology. Within the family of cats, lions and tigers are stable patterns which gradually evolve over time. However ligers (a cross between a male lion and a female tiger) have been bred and they share characteristics of both species; like tigers they enjoy swimming, like lions they are sociable animals. It would be a mistake though to assume that because an archetype might have indistinct edges to its pattern that it is to be abandoned. As someone who teaches about archetypes I often get asked the question, “How many archetypes are there?” Which is like asking how many patterns are there? A great, great many course theoretically, but functionally there are a basic set of archetypes which govern our survival and shape our everyday lives. If you think about the everyday life of a woman who works as a GP (let’s call her Anna), her daily life is mostly shaped by archetypes such a wife, lover, mother, friend, healer, athlete, daughter. This would be true of most of us. As organising patterns, it is also important to note that archetypes can exist in potential form as well as in an embodied form. We are perhaps familiar from high school science with the idea of potential energy. A prime example is a pendulum whose energy shifts from potential at the top of its arc when it stops moving to kinetic at the bottom when it is in full swing. So too an archetype is a pattern which can exist in potential or activated form. Jung was good at identifying this potential aspect archetypes describing them once as a “preconscious psychic disposition.” (CW 9 152). The mother archetype can exist in a young woman as a kind of potential until activated in adulthood. The potential may come out in play as a young girl with her dolls, be activated in adulthood as a longing for a child, find expression when she gives birth to her first child and even be reactivated later in life when she becomes a devoted grandmother. We have already begun to look at archetypes as patterns and in particular, like DNA, as being instructional patterns of “information for” yet it is worth taking a closer look at the informational nature of archetypes and why that has made it challenging for us to define them over the centuries. It is becoming clearer that reality is deeply informational. From the 1970s through to the 1990s Princeton Professor of Physics, John Wheeler, who gave us the term, “black hole”, developed his ideas about the universe fundamentally being informational alongside and even behind energy and matter. Wheeler asserted that “all things physical are informational-theoretic in origin” (Wheeler, 1990) and coined his famous phrase “it from a bit” to explain how the physical world sprang from information. It is the information that things carry that makes them the way they are. In this model, the basic building blocks of the universe such as atoms, electrons, down to quarks are not so much bits of matter in empty space but packets of information regarding potential state of energy distribution and exchange. In this paradigm the information appears first and the physical world is a result of the way patterns of fields and energies interact with one another. This model seems to be gaining momentum as discoveries such as the Higgs-boson particle confirm the interactive nature of mass. On the other hand, ever since the time of the sixteenth century philosopher and mathematician, René Descartes, there has been a tendency in the West to divide the world up into mind and matter. In this (dated) world view things were generally viewed as belonging to one of these two realms, with the world of matter being deemed as more real than the world of the mind. Those of a religious persuasion also added the realm of the spirit to this duality or merged it with mind. Even though this world view has been superseded by General Relativity and quantum mechanics on the academic level it has remained influential on the popular level owing to the poor way science has been taught in schools (which is thankfully changing in places such as South Korea and Norway where General Relativity is replacing a crude Newtonian world view). This has shaped a common understanding of archetypes. A popular view has it that if archetypes clearly do not belong to the world of “things” then they must belong to the world of mind. It is then just a small step to the view that they are mental constructs which humans project onto the world. This in turn led to a tendency to ignore archetypes or relegate them to the realm of unsubstantiated psychological theory. In contrast, it is important to note that the type of information that Wheeler and subsequent philosophers of information were talking about is mind-independent in the same sense that the laws of physics are assumed to exist whether human minds are there to observe them or not. This information is not just a product of human minds which can disappear from the universe if humans themselves came to an end. When it comes to archetypes this difference is vital. If archetypes are just a product of the human mind projected onto a purely physical world then they become a product of our own thought processes. Yet if they are informational structures that have evolved in the universe before us then it would be truer to say that we ourselves are a product of the archetypes. If the archetype of mother existed before humans it will exist after us, if it is only a products of our minds then the mother archetype will cease to exist if we die out, a rather anthropocentric view. We do not have the archetypes as such, they have us. This view of archetypes being primarily psychological entities has been reinforced over the last century because the main contemporary discussion of archetypes has flowed from the work of the psychologist, Carl Jung. 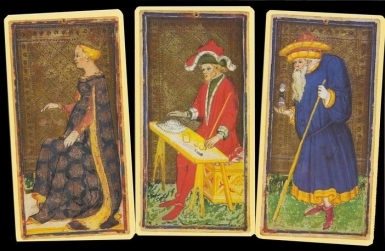 Prior to Jung’s work, archetypal thought belonged to the realm of philosophy and the archetypes were explored as universal forms by the likes of Plato and Aristotle. Hence Plato’s belief that individual mothers here on earth were imitations of an ideal form of mother that existed in a “place above heaven”; while Aristotle taught that the form of mother existed inside the individual mother herself. The early church fathers such as Iraenus and Augustine adapted Plato’s ideas and taught that an archetype such as mother was an idea in the mind of God, a template from which He created. The discussion of archetypes then continued in the West under the general category of “universals”. In the modern age the work of Carl Jung has been so seminal in understanding archetypes that archetypal theory in modern times has almost become identified with his ideas. Although acknowledging the contribution of Plato and other thinkers to the study of archetypes, Jung’s specific contribution was to the understanding of archetype as a psychological phenomenon, he was not trying to form a systematic philosophy of archetypes nor look at them as a science of information but was interested in their operation on the human psyche. For Jung the archetypes appear in the psyche of an individual as it emerges from their participation in a collective unconscious. There in the individual psyche, according to Jung, they carry physic energy and influence a person’s behaviour, dreams and feelings and find their way into the cultural products of humanity – its literature, fairy stories, religion and politics. Jung’s work is invaluable in our understanding of how archetypes operate psychologically, however it is the informational nature of archetypes that allows us to understand how archetypes cross over from one medium to another; from art to myth, from culture to instinct and how they are adapted and promulgated. Jung’s work of studying the psychological nature of archetypes has been continued by Jungian therapists and writers. Because Jung’s view of archetypes was quite complex and nuanced some have explored archetypes as the product of evolutionary psychology (Anthony Stevens), as patterns of behaviour (Walter Shelburne) or as image schemas (Jean Knox). A sustained study of each of these aspects is enormously fruitful and I have gained much from each of these authors’ approaches and that of others. But all can suffer from the reductionism that comes when we try to define something in the few words we can fit into in a dictionary. Fortunately there have been other schools such as the work of Joseph Campbell who focused on archetypes active in myth, particularly the Hero. His work influenced George Lucas and his enormously popular’ space epic, Stars Wars, which has in turn renewed interest in a parallel study of archetypes within literature and film. Archetypes such as the femme fatale, the wise old man (senex) and the trickster began cropping up in drama texts. Another parallel study has been the application of archetypes to religion undertaken by people such as Edward Edinger (Ego and Archetype) and Edward Whitmont (The Symbolic quest), a quest I will take up myself later. But returning to the relationship between archetype and mind it soon becomes obvious that it is far from being a simple one. Archetypes as organising patterns flow from the medium of biology through culture and into an individual’s mind in a complex way. For example, we have already noted that the mother archetype is expressed and carried biologically, culturally and psychologically. How an individual woman experiences the mother archetype is then a product of the interaction of her physical biology, her instincts, the cultural norms she is influenced by and her own history and experience of mothering. Picking out the contribution of each of these inter-lapping forces is interesting but complex, and keeps many a therapist in work. Adding to this complexity is the evolution of the human brain which made us capable of imagination. Imagination gave us the capacity to picture new patterns on top of those thrown up by evolution. We could not only picture the animals that we encountered day to day in our minds but also mythical creatures such as unicorns, drawing a horn on a horse. But the unicorn can exist in more than one individual human mind. It can exist as a cultural pattern as well, passed on from one generation to the next through stories and art. Further into the future we could envisage, with the growth of genetic engineering, a unicorn might also able to exist as an independent animal through our manipulation of DNA. At that stage the unicorn as an archetype would be expressed not only in the human imagination and culture but biologically as well and would evolve independently of us. All this is to say that humans are now a major force in creating and expressing archetypal patterns. In the Anthropocene age in which we live, our lives are just as influenced by the products of our culture as by nature. Here it is obvious that we need a new way of talking about what it means to exist – a new ontology. Previously we might have said that unicorns did not exist because they did not have a biological form. In that way of viewing the world, they can spring into existence through genetic engineering if we can form them in the lab only to perhaps cease to exist again if they became extinct. In a new ontology we will be able to talk about the archetype of the unicorn existing in different expressions, from the imagination of humans, to their art, to biological form and beyond. This is the shift that flows from an informational view of the universe. However, not all archetypes can cross over from the realm of human thought into the biological form. While we can picture genetic engineers of the future manipulating DNA to produce a living unicorn the same does not apply to the tooth fairy or to Santa or to other products of our imagination that defy the laws of physics like a perpetual motion machine. Each of the media that archetypal patterns are expressed in have their own rules. For an archetype to take physical form it has to follow the laws of physics – sorry no light-sabres or time travel machines given our current understanding of these laws. So we live in a world where our lives are shaped by archetypes of physics, of biology and of culture but not all archetypes can cross from one medium to the other. It can therefore be important to keep in mind where an archetypal pattern originated. Archetypes of the physical world are organising patterns in nature: crystals are shaped by the laws which govern how a liquid forms into a solid. Snow-flakes are crystals of water whose archetypal nature is governed by the laws of physics yet each snow-flake is an individual expression of the archetype. Then there are archetypes of a biological nature which are perhaps the most important for us. We have already mentioned a few such as mother and hunter but many more shape our lives such as lover, son, daughter, healer and warrior. These archetypes evolved out of the survival of organisms and are thrown up by evolution. They are seen as preceding us in the sense that humans are products of this evolutionary process and they will go on long after we disappear from the earth. We can shape them to some degree – for each culture expresses the mother archetype in its own way but their essential nature will always be shaped by the role in our biological survival. Then there are the archetypes of culture which exist not so much as a part of biology but as a product of our human intellect and culture. For instance a hipster is not a biological archetype but a cultural one. Hipsters are not shaped by biology but by the way people express their aesthetics and values at a particular point in history, driven by a reaction to consumer culture. The capacity for archetypes to cross from one media to another makes them both fascinating and complex. For instance, the realm of astrology is based on the identification of physical planets such as Mars and Venus with the Greek gods who bear their name and their particular archetypal nature as the god of war and love respectively. To this is added the idea that the patterns of the physical planets and their movements can easily flow across into the patterns of our personality and affect our fate. This is a classic example of how we like to take archetypes from the realm of nature and apply them across human arts and culture. So we need not only to understand the nature of archetypes but also how they flow from one area of life to another and ask ourselves questions about what we mean if we posit this type of connection. No discussion of archetypes and being would be complete without at least an attempt to explore where archetypes come from. However this discussion must be pre-empted by the observation that the study of archetypes is an existential one. In other words, it starts with the observation of our current existence – we are born into (or “thrown into” as Heidegger liked to describe it) a world replete with archetypal patterns and we begin a journey to make sense of those patterns. We are not given the privilege of having a seat in the restaurant at the beginning of the universe to see it all unfold, we find ourselves born into the middle of the story. Because archetypes are fundamental patterns, asking where they come from is akin to asking questions such as why there is anything at all or why life in the universe developed as it did. Traditionally, humankind has looked to religion to explain why there are archetypal patterns. Some religions posited a divine mind which was the origin of order, archetype and pattern. When that God created the cosmos those patterns yielded the world as we know it. But a child may ask us, “Yes, but who made God?” pushing the question of the origin of order even further back. Scientifically we can now argue that information emerges naturally in the steady states of physical systems that are out of equilibrium (which is what Cesar Hialgo does in his book “Why information grows”). But even this may push us back to ask why this is so. The answer to this ultimate question of why there is order, pattern and archetype in the universe may elude us at the moment. It may well turn out that “to be” means to be ordered and it may be that it is “chaos” rather than order that is out of our reach of our understanding. There is a smaller, but equally important, question of where the archetypes that most effect our lives come from. The process of evolution has clearly thrown up many of these. 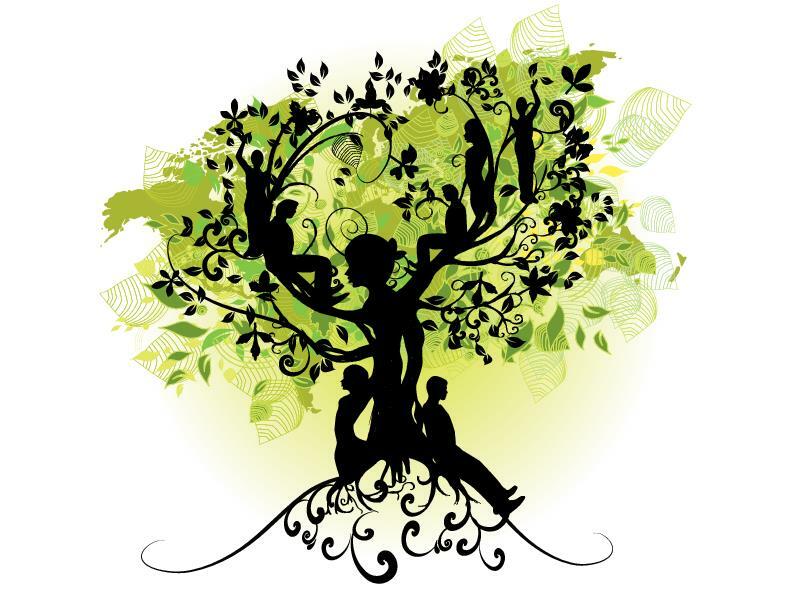 The ones most connected with survival and reproduction can be the most obvious: the mother, the father, the hunter the gatherer, the warrior and the healer. Then there are those rooted in our social biology and our need to live in tribes, such as the chieftain. Yet these archetypes evolve as society develops. The chieftain becomes the baron, the king or queen and the emperor as the territory and number of inhabitants expand. Now is there one archetype or five here? The chieftain has clear parallels within the animal kingdom as evolution throws up ways in which the herd is organised and there are strong parallels with the alphas of a lions’ pride and a gorilla troupe and a tribal chief. Archetypes evolve and develop as circumstances change – they are patterns for something and the archetype needed for ruling a herd is somewhat similar and yet also different to that required of a human king. Where does the archetype of the king come from? It is a cultural archetype rooted in a social biological history. But in the end that would make it no different from many of the archetypes that shape our lives, patterns with a biological function at their core shaped by a cultural context and need. Each step in evolution throws up its own archetypes. Consciousness, an enormous evolutionary step for mankind throws up the archetypes of the philosopher and the scientist. The evolution of our capacity for language threw up archetypes such as the orator and the poet. And as humankind began to try to make sense of the universe and our place in it the archetypes of spirituality were thrown up – the seer, the prophet and the monk. So why are archetypes so important? What is important to you? Typical surveys of peoples’ values across the world identify family, friends, work, leisure activity and to a lesser and variable degree, religion and politics. Each of these areas of life are significantly shaped by archetypes. We have already mentioned the example of Anna who works as a GP (healer) and fulfils archetypal roles such a wife, lover, mother, friend, healer, athlete and daughter; archetypes shape the life she leads and values. Also, when Anna comes home from work she might listen to a singer, read a detective novel (the criminal, the detective and the lawyer) or watch a romantic comedy (the lover) on TV – each of these have a social biological core with strong cultural overlays on the archetypes. Like most of us then, Anna’s life is lived within archetypal patterns which form a foundation to the way she relates, works and spends her leisure time. Archetypes are vital because none of us invents life from scratch, each of us adapts the archetypal patterns of life that well up from our instincts and surround us in our learned culture. In fact we often find fulfilment in shaping the inherited archetypes. We may give our lives over to being an innovative artist who uses social media to speak clearly into our culture or being a doctor using epigenetics to overcome old diseases such as cancer or we may want to simply correct the cold way our father raised us through a warmer style of our own fathering. To be human is to individualise and colour our expression of common archetypes. Even when we think aspirationally, we mostly think of it in archetypal terms such as being the best business-woman, athlete or mother that we can possibly be. Ironically even when we rebel from time to time against cultural constraints we find strength and purpose from the shadow archetypes of the mistress or drug-pusher, revolutionary or hippie. Animals have archetypal roles too. For instance within a bee hive there is the queen, drones, hive cleaners, nurses and harvesters. These archetypes are part of each bees DNA which is expressed both in their biology and their instinctual behaviours. Bees have little choice in how they express their biological archetypes. But we do! Worker bees do not demand the eight hour day, higher pay or strive for a promotion or meaningful work, but we do. The gift of consciousness allows us to modify our relationships with the archetypes. We can also pass on different expressions of archetypes from generation to generation through culture in ways that the bees cannot – human mothering can undergo fashions such as disciplinarian, free parenting or attachment mothering. Interestingly it is often these cultural and individual expressions of fundamental archetypes which hold a great deal of energy for us and define our identity and values. What may define Anna’s personality and style is the spin she puts on mothering, seeking to be her daughter’s friend, her commitment to being a healer who combines mind and body philosophies at her clinic and the importance she places on shopping with her friends as a fun bonding experience. For humans, archetypes are not only transmitted by DNA and instinct but also culture through the process of socialisation. This socialisation is carried on by example, by social pressure to conform and by social organisation. Institutions in particular excel at moulding us to fit into an archetype. One of our early experiences of this is school and the pressure we all encounter to conform to the archetype of a student. From Kindergarten for the next 16 or so years until we finish at university we receive archetypal formation in what is means in our culture to be a good student. Without that archetypal formation few of us would stick out the arduous years of learning, so we submit to passive listening, sitting still, learning skills we can see little point to, completing essays and doing exams and homework. There can be a dark side to this process as well as a positive one as young people are put under great pressure to conform and achieve and those who do not naturally take to sitting passively and absorbing information have a harder time. This is evidenced by the number of young people in the West taking medication for ADHD disorder to be able to cope with modern schooling. But there is always more than one way to express an archetype. A Student learning in a Montessori school, emphasizing the freedom of choosing what to learn, or a student in a Steiner school with its emphasis on early sensory based learning or the student in a Harkness school, with students around an oval table discussing subjects in depth with the teacher, are different expressions of the archetype. A realisation that there are different ways of expressing an archetype can free up the pressure to conform. Humans have a tendency to think our contemporary way of archetypal being is the only or best way. But archetypes are organising patterns which throw up a variety of ways of being a healer, a soldier or a student. The goal is to find the unique ways in which you express and shape the archetypal patterns you live. If you stop a woman in the street and ask her whether archetypes are important to her, she is most likely to first ask what an archetype is and even if she has heard the term reply that she rarely thinks about archetypes. But if you were to ask her whether mothering was important to her, firstly her own relationship with her mother or her own potential or lived experience of being a mother she is likely to reply that it profoundly shapes her life. And here we have a modern anomaly, the intellectual frameworks we use to understand our lives is out of kilter with what actually shapes them. What happens when we become aware of the role archetypes play in our sense of self, our spiritualties, ideologies and relationships? This is what we will explore in more detail in further writing. We began with a working definition of archetypes as organising patterns and the more I think about and study archetypes the more I realize how much of our lives they do in fact organise. But this is not a simple process, for humans are engaged in a very complex relationship with these fundamental patterns of life – finding new ways of expressing them, shaping them, relating to them and creating cultural archetypes as history rolls on. It is perhaps this unique relationship with the archetypes which flows into our art, ideologies and spiritualties which shapes what it means for us to be human. Interested in exploring more? Details of the Archetypes in Depth course can be found here: Archetypes in Depth. I see similarities in definition of Archetypes as organising systems with the concept of Miasms in Homeopathy. I think it is a big deal that an archetype unites a social role with personal meaning and even spirituality. So true Evan, in that way they provide a profound link between the life of the soul and spirituality; between our individual quests and our collective experience of being human.